The three-year pilot of our Youth Violence Intervention Programme is now underway in Queen’s Medical Centre. 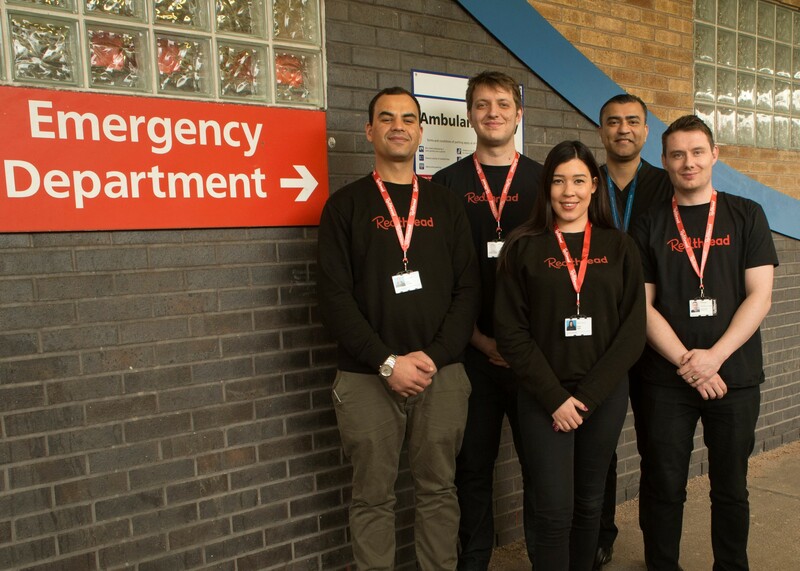 A Team Leader, two Youth Workers and a Programme Coordinator have now started work in the Emergency Department meeting young people aged 11 – 24 who have been the victim of a serious assault including stabbings, gun crime, sexual assault and domestic violence. The pilot, run in partnership with Nottingham University Hospitals NHS Trust is Redthread’s first venture outside of London. The Youth Violence Intervention Programme started at King’s College Hospital 13 years ago. The youth work team work alongside the clinical staff and meet the young patients as soon as they can: in the A&E waiting room, on the ward, or even in the resuscitation bay. This moment of intense crisis, when the young person is nursing a serious injury in the daunting environment of a busy hospital, often alone, can be a catalyst for self-reflection and pursuing positive change – a ‘teachable moment’. After leaving the hospital, our teams mentor and advise the young person and support them to make long-term positive plans. The pilot will take place alongside a research project undertaken by the University of Nottingham. A multidisciplinary academic research team will be conducting a Stepped Wedge Design Control Trial which will look to evaluate the impact of the service across the health, social and policing landscape in Nottingham. David Bentley, Redthread Team Leader at QMC, said: “It’s been a great first week, the hospital staff have made us feel really welcome – we already feel like we are part of the furniture at QMC. To deliver the programme we have received funding from The Health Foundation, UK Home Office and the Nottinghamshire Police and Crime Commissioner. We’ve partnered with Nottingham University Hospitals NHS Trust the East Midlands Major Trauma Centre, Nottinghamshire Police, the Nottinghamshire Office of the Police and Crime Commissioner, Nottingham City Council and Nottinghamshire County Council. Consultant Faisal Faruqi said: “Every day young people find themselves in Emergency Department as victims of youth violence – we see around half a dozen people attending with injuries related to assaults. “Collaborative working with Redthread will increase awareness, understanding and engagement by ED staff with young people presenting with violence related injuries. “The objective is to build rapport with young people, mentor, advise and support them to make long term positive plans to break away from cycles of violence and offending. Miriam Duffy, Director of Operations at NUH, said: “We are really pleased to be the first hospital outside of London to provide this service with Redthread. “This is an opportunity for NUH to facilitate real, ongoing change in the lives of the young people that we care for.